Hey everybody, it has been a while since I posted a riddle. 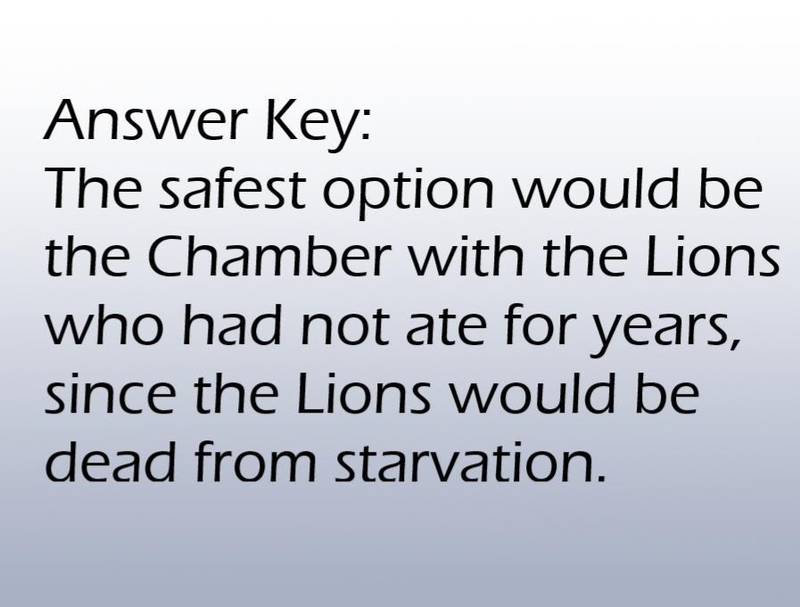 I am excited to share with you this classic riddle that people have been asking for years! But before you do, make sure to check out my last post. I made a video about the “Liar’s Paradox”, so make sure to give it a view if you have not already. What question do you ask the guards? Remember, you only ask a single question. Put your answers in the comment section below, and remember to do WLYF! This is something new that I have been doing, by putting the answer to the previous riddle in the newly published riddle. Hope you like it! My question would be could which ever gaurd I ask to walk through the door first. If I hear a sound of terror and the gaurd that I asked don’t return then I know that was the death door.